Easy to use coaster, when used up, can be sucked in the refrigerator when decorating. 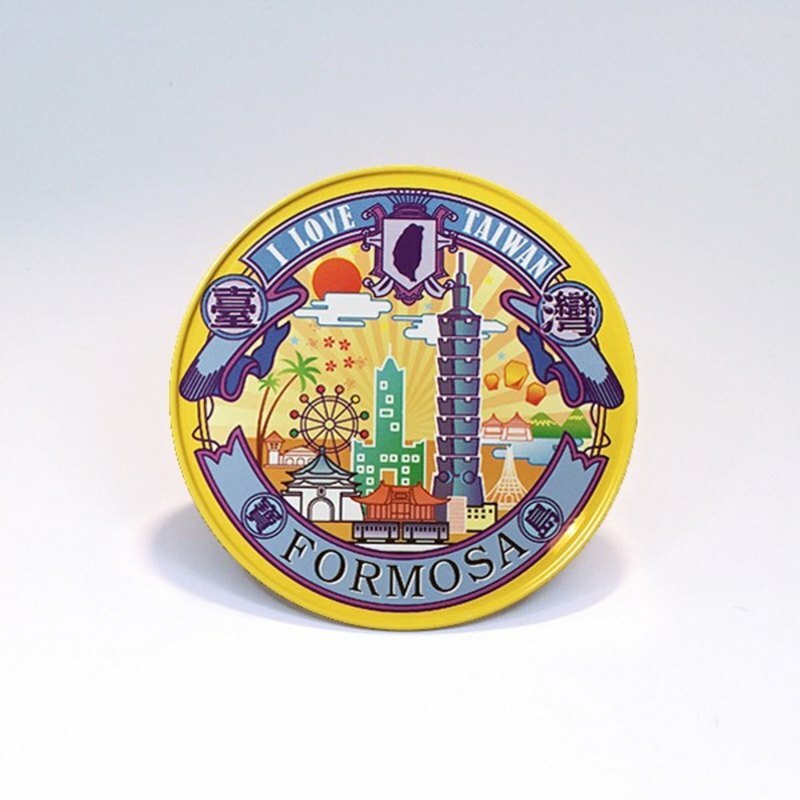 https://c1.staticflickr.com/1/934/43960224281_c5b2e484c7_h.jpg Taiwan impression ☜ [Taiwan impression round coaster] Size: 9cm x 9cm thickness 5mm Material introduction: tinplate / soft magnetic How to use: The cup mat can also be stored as a refrigerator or work table. [The origin of the name of the tinplate] Tinplate was originally called Tin Plate, and its official name should be tinplate. Because China's first batch of foreign iron was imported from Macao in the middle of the Qing Dynasty, Macao was transliterated as "Makou", so it is generally called "tinplate." The application of tinplate is very wide. From the packaging materials for food and beverages to grease cans, chemical cans and other miscellaneous cans, the advantages and characteristics of tinplate provide physical and chemical protection of the contents. Tinplate cans comply with environmental protection packaging materials: existing containers include iron cans, aluminum cans, paper and plastic containers. These containers have different recycling characteristics, but the iron cans are better in recycling than other packaging materials. . Based on the international environmental management standard ISO-14000, the tinplate cans with low pollution, recyclability and resource-saving characteristics will have wider development space in future packaging applications. https://c2.staticflickr.com/2/1796/43241205104_807fcf507a_h.jpg ※Please note the order! The front material is tinplate metal, and the back black is soft magnet material. ※The surface is made of special metal ink printing (Metal Printing), the drawing is pattern printing, non-ceramic / wood / glass and other materials. Origin / manufacturing methods Made in Taiwan.